This past Saturday I went fishing with thirty friends. Can you believe it? I am a girly girl at heart and generally would not be caught with a fishing rod in my hands. In preparation for my adventure, I boldly asked my husband if I could use his fishing rod. He looked at me with an expression which said, “You have lost your mind!”He couldn’t believe that his sweetheart of 40 years was about to participate in an activity which generally required putting a worm on a hook and waiting patiently for a naive fish to bite the bait. But here I was—ready to take a bold new step! Now before you get too excited I need to explain something. This was not your usual fishing trip. To the contrary, I was scheduled to do a writing workshop on the topic “Chasing Your Story,” for the East Metro Atlanta Christian Writers, in Covington, Georgia. I love using practical themes to illustrate my topics and was excited when the idea of fishing came my mind. I asked Willie, my husband, to tell me about the types of rods used in fishing. He was happy to give me further insight when I asked about the difference between shallow water and deep sea fishing. Hmm….I saw my hook ( no pun intended). Writing a story about yourself is like going fishing. Some ideas are close at hand. One of the easiest ways to come up with ideas is to look around your house and find mementos or souvenirs—gifts from others or special items you’ve accummulated over the years. When you muse on those items, they will surely remind you of treasured memories, experiences involving special people in your life. Some people keep a memory box of special things they’ve collected over the years. Thus, the idea of shallow water fishing involves looking for simple things which may be your source for writing. Not many people have gone deep sea fishing, however. This type of fishing, Willie stated, involves a heavier type of rod. The fisherman, of course, has to leave shore and venture out by boat into deep waters. 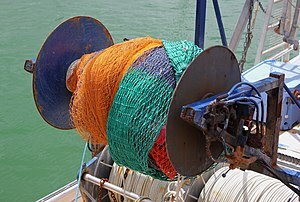 Deep sea fishing requires much preparation and can be dangerous. It is not for the faint of heart. Many people keep journals, often writing about the challenges they face in life. Journal writing can take you into deep waters, if you allow yourself the freedom of writing about whatever comes to mind. If you have never kept a journal, consider starting one. You may have been thinking about writing your story and may be entertaining some very common fears. I wondered first if I had anything worthwhile to say. Would anybody want to read about somebody who was not famous. In fact, I heard a very popular radio personality say, “Nobody wants to hear about you!” I was also afraid of what my family and friends would say, once I put my “stuff” on paper. I worried that I would have fallout of various proportions if I went “deep sea fishing.” But God had a plan. Proverbs 3: 5 – 6 reads, “Trust in the Lord with all thine heart and lean not on your own understanding; In all your ways, acknowledge Him, and He shall direct your paths.” God may be calling you to cast your net on the other side and go deep sea fishing. A multitude of fish are waiting.